The Member for Oxley, Melinda Pavey MP, welcomes the new cost-of-living initiative and encourages residents to test out the new price comparison and switching tool. “Energy Switch is a game changer for NSW households trying to reduce cost of living pressure. There are a lot of Government price comparison websites – but this takes things to the next level. “It enables people to compare charges and lock in a better deal with the click of a mouse or a quick chat with Service NSW.” Mrs Pavey said. “Energy Switch uses a customer’s latest e-bill to scan the entire retail electricity market and provide a list of the cheapest three electricity plans available based on their individual usage profile. Energy Switch will also allow people to regularly review their plan as electricity usage and prices fluctuate over time. 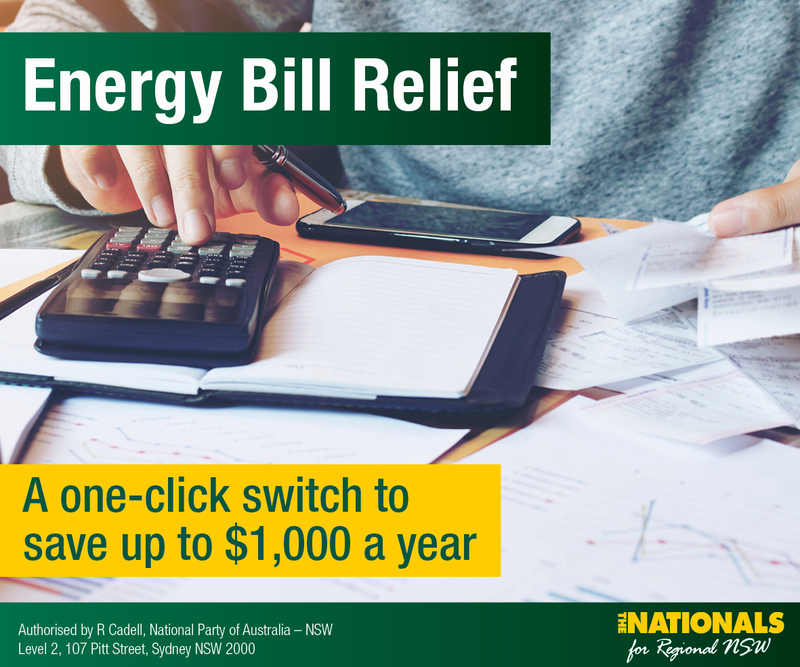 Energy Switch is one a series of NSW Government initiatives helping to ease cost of living pressure for households. Others include cheaper Green Slips and refunds, Active Kids vouchers and the FuelCheck app.